The city wants to designate a farm near Stittsville as wetlands, protecting it from future development. The family that owns the land blames encroaching suburbs, and says their financial future is in jeopardy if the designation goes ahead. Dave Morley was just 19 when he bought a swath of arable land on the outskirts of Ottawa. 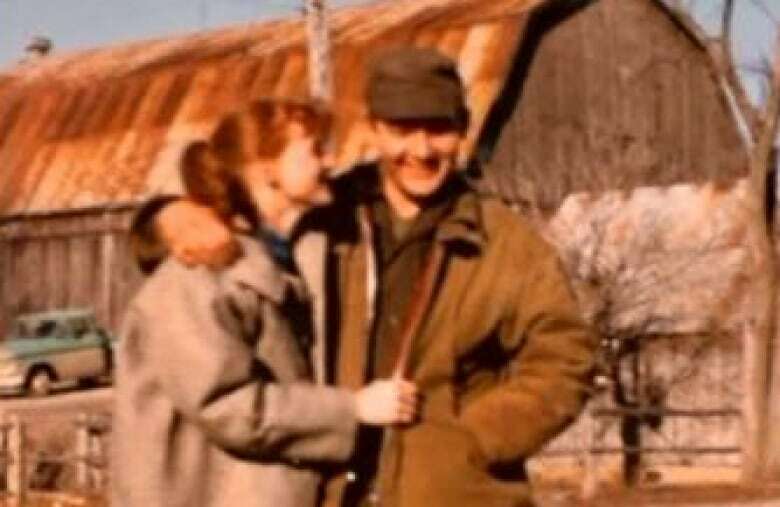 He and his young wife, Bev, moved into the 200-year-old log farmhouse on Fernbank Road that was originally owned by the Stitts, the family who lent their name to Stittsville. 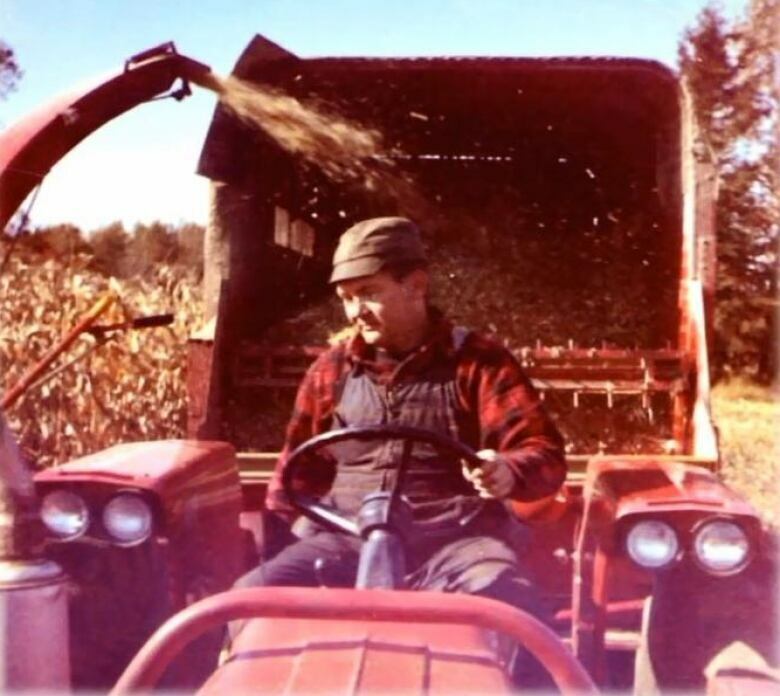 Morley farmed there for 60 years until he died in 2012. Bev, now 80, still lives in the old house. In recent years, encroaching development has flooded large sections of the property, turning it to marsh. The land has become so saturated that 65 per cent of it has now been identified by the city as provincially significant wetlands (PSW). The marshy land isn't just increasingly unsuitable for farming; if it's designated PSW, it becomes protected and can no longer be sold for development, draining the property of its future value. Morley's daughter, who has continued working the land with her own family, says that puts her father's legacy in jeopardy. "Dad would be devastated if he was still here, and we are all devastated," Joni Sabourin said. "This was our future, our retirement plan for the entire family that's ripped right out from underneath us." Sabourin has lived on the farm for most of her 55 years, and has watched Ottawa's suburbs creep closer and closer. Now the backyards of the vast Deer Run subdivision to the northeast slope toward the family's hayfields. The neighbourhood's culvert drains onto the land just behind the fields. To the west, the neighbour's land has been filled so it now sits about three meters higher than the Morley farm. The water pours in from all sides, saturating the fields, Sabourin said. "We were never wetlands. It's these developments, so much higher than we are," she said. "Water doesn't run up." All that water has killed existing trees and ushered in a new crop of plants that thrive in wet conditions. That new ecology is what prompted the city to identify the land as PSW, the critical step before official designation. But according to the Ministry of Natural Resources and Forestry, how wetlands came to be isn't a factor when it comes to their designation. The only thing that matters is that they exist now. "It's just wrong," Sabourin said. Dave Morley's farm is part of a complex of more than 500 hectares the city plans to officially designate as PSW. The city, the province and environmental groups say wetland preservation is a vital part of improving water quality and slowing the release of greenhouse gasses. Studies have shown wetland soils can store large amounts of carbon dioxide, keeping it out of the atmosphere. The plant varieties found in wetlands can also act as a natural filtering system, removing sediment and pollutants from the water. That's why both environmental advocates and the ministry have been pressuring the city to include newly identified wetlands that fall within city limits in its official plan. "We have this large complex of wetlands providing the ecological services ... and can expect that they will not be drained, they will not be altered, they will not be diminished," said Paul Johanis, chair of the Greenspace Alliance of Canada's Capital. "The time is now to get to the end of this story and get those wetlands protected." The conflict goes back more than a decade, when the city last attempted to designate newly identified wetlands in the Goulburn area. At that time, landowners made similar arguments about encroaching development and poor drainage. Mike Westley's property on Flewellyn Road was caught up in that application. He believes the overwhelming stress caused by that experience led to his heart attack. Westley's property was ultimately deemed not to be wetlands. In some cases the city agreed to delay its decision to allow landowners time to install a municipal drain, which can channel water away from the land, but which proved too costly for many. Since then the city has hired a consultant to take another look at the area, and that survey uncovered even more new wetlands. Westley said he's not surprised. "You don't flood someone's property and then designate it wetlands rather than fix the drainage," said Westley, now director of the Carleton Landowners Association. "It's the wrong thing to be doing to private property." These "unnatural" wetlands place city council in an awkward position, said Coun. Scott Moffatt, who represents the Goulbourn area. 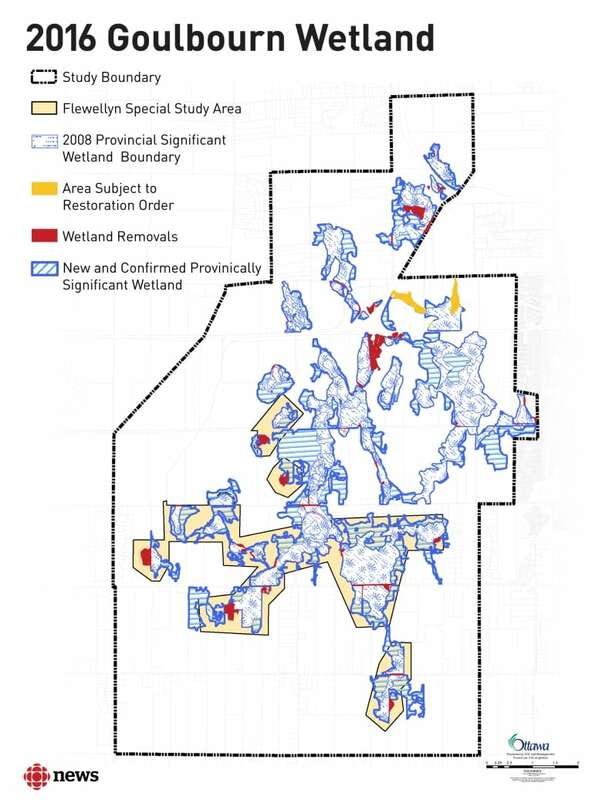 The municipality is obligated to protect wetlands once they're identified and designated, but Moffatt believes council must also come to terms with the fact that across the region, once-arable farmland is suddenly turning to marsh. "The question will be, how does council respond to that?" In 2006, the city paid developer DCR Phoenix more than $1 million for the land across the road from the Morley farm in order to protect its wetland characteristics, even though in the end the land didn't meet the bar for PSW designation. Dave Morley's family has appealed to both the city and the Ministry of Natural Resources, and has retained a lawyer. Sabourin said if the city sincerely values the land her father spent his life cultivating, it should pay for it — before it's too late. "If you want [wetlands] that bad, buy it." 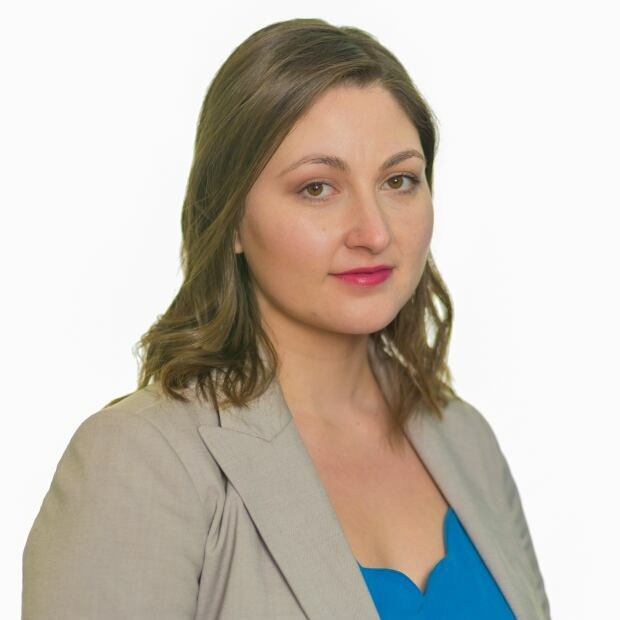 Laura Osman is a reporter for CBC Ottawa. You can contact her on Twitter at @LauraOsmanCBC or by email at Laura.Osman@cbc.ca.